A Syrian Christian fighter has beheaded an Islamic State group (IS) militant to avenge people “executed” by the jihadists in northeastern Syria, a monitor said on Friday. The former Head of State will be officially sworn in today as the President. Meanwhile, ahead of Jonathan’s return to his Otuoke community in Bayelsa State today after a tenure as the president of Nigeria, an air of excitement has become visible in Yenagoa, the state capital and its environs. Before the hand-over, Jonathan had received Buhari who arrived at the Presidential Villa at 10.58 a.m. before both leaders went straight into the President’s office. The President-elect, wearing a green kaftan and a Zanna cap to match, arrived in Sports Utility Vehicle (SUV) with registration number MKA 644 BC. He was accompanied by the Vice President-elect, Prof. Yemi Osinbajo (SAN), Rivers State Governor, Rotimi Amaechi, Chairman of the All Progressives Congress (APC), Chief John Odigie-Oyegun, former Petroleum Minister, Prof. Tam David West, chieftain of the APC, Chief Audu Ogbeh, members of his transition committee and other party stalwarts. Others included the National Publicity Secretary of the APC, Alhaji Lai Mohammed, former Abia State Governor, Dr Ogbonnaya Onu. In a 15-page speech he delivered, Jonathan listed some of the achievements by his administration, the challenges and the way forward. The handover document comprised two reports, the main handover notes and the reports of the recommendations of the National Conference, which he said would be useful in addressing some of the problems that have confronted the nation since independence. He said the handover note would give Buhari a mission statement of his government’s commitment for the past five years and the directions they took to ensure positive result. Some of the key areas touched by the President included agriculture, education, security, health as well as the petroleum and economic sectors. For instance, Jonathan spoke on the financial reforms embarked upon by his administration that unified the structure of government accounts for all the Ministries, Departments and Agencies (MDAs) and brought sanity to cash flow management. Besides, he said the integrated payroll and personnel information system identified 60,450 ghost workers in 359 out of 425 MDAs, yielding N185.4 billion. In addition, he said enhanced revenue mobilisation was achieved through improvements in the laws and compliance measures. He added: “In 2013 alone, those measures resulted in 69 per cent rise in federal tax revenues from N2.8 trillion to N4.8 trillion. Also waiver policy and trade facilitation were reformed to create a more rational regime. Our emphasis shifted to granting waivers to specific sectors instead of individual companies. He said his administration had emphasised giving a free hand to the anti-graft agencies such as the Economic and Financial Crimes Commission (EFCC) and the Independent Corrupt Practices and Other Related Offences Commission (ICPC), adding: “We preferred that they mature into strong institutions instead of being the images, the hammer and the anvil of a strong man. “We must encourage them to abide by the rule of law and due process instead of resorting to dramatic or illegal actions orchestrated for cheap applause. But beyond the very impressive records of enhanced convictions by the statutory anti-corruption agencies like the EFCC and ICPC, our other strategy has been to fashion economic policies that deliver higher deterrence and frustrate concealment. In this regard, the Bureau of Public Procurement has played a central role and impacted strongly on the fight against corruption. “As we hand over the reins of government, I believe that our nation is secure, our democracy is stable, our future is bright. Let us all work together, along with greater resolve, continue to build a strong and more prosperous nation. Nigeria is blessed with citizens that will remain faithful, firmly committed to national unity, accelerated political, social and economic development. “So is my pleasure on behalf of the Vice President, members of the executive council and other senior functionaries to formally hand over these hand over notes to Gen. Muhammadu Buhari, the President- elect who will assume office tomorrow(today). Congratulations. “There is another document that I will hand over to you. To me this is more important than the hand-over notes. The hand-over notes are the activities of an administration, they show where we started, where we are going, in some of the cases you’ll follow, in other cases you may take other angles. “But this is a document that was compiled by Nigerians, the report of the National Conference 2014. We gathered almost 500 Nigerians from other walks of life, they were not influenced by government in any way. And most of the recommendations here, if they are followed, most of the grey areas even in our politics will be smoothened out. Most of the areas where people complain bitterly about, like corruption, this document deal‎s with them. Some people here were members of that great body of about 500 eggheads. “We were unable to implement because of the shortness of time, we have sent a copy to the National Assembly but is a document that we are very hopeful that your government will look into it and give it the attention it requires. But the President-elect, who declined to give an elaborate response, said until he reads and digests the notes from the president, he would not be in a position to make any strong contribution. In his remarks, Buhari said: “What I will say is that since the famous telephone call you made, you have changed the course of Nigeria’s political history. For that you have earned yourself a place in our history, for stabilising this system of multi party democracy system and you have earned the respect of not only Nigerians but world leaders. “All the leaders that spoke to me and congratulated us on arriving at the point we arrived, mentioned this and I could understand, a lot of relief in their voices that Nigeria has made it after all and this is largely owed to a situation. At Otuoke town and the entire Ogbia Local Council Area, the people have set out an elaborate programme to celebrate their illustrious son, who according to them, has made them proud as he exhibited true leadership during his tenure as President. The Bayelsa State Government on Wednesday also unveiled a programme for a civic reception today in honour of Jonathan. The State Commissioner for Information, Mr. Dan Kikile, who announced the programme, said that Jonathan will be received at Government House Helipad, Yenagoa by Governor Seriake Dickson and top government officials. ACTIVITIES of cybercriminals appear to be on the upward swing, as fraudsters continued to make several attempts at getting unauthorised access to peoples’ bank accounts and other electronic payments platforms. Checks by The Guardian showed that customers of some top commercial banks in the country, including Zenith Bank, Guaranty Trust Bank (GTB), United Bank for Africa (UBA) and Access Bank, are currently being bombarded with suspecting electronics mails targeted at their daily Internet banking activities, which are purported to have been sent from their respective banks, by so doing making them vulnerable to cyber attacks. Already, a Nigeria Interbank Settlement System Plc (NIBSS) 2014 report, informed that there were 1, 461 cases of fraud last year involving N7.7 billion-attempted value. But that about N6.2 billion were actually lost to e-fraud. The fraud is projected to come through several scam mails, technically called phishing, which are being received on a daily basis by customers of some of the banks. Phishing emails try to trick user into revealing some personal information. They look like they are from a legitimate source, such as the bank, Google or Yahoo, but they’re not. The scam emails are aimed at luring unsuspecting bank customers by asking them to open a link to either update their online banking profile or change their Personal Identification Numbers (PINs). There was also another, purported to have been sent by Access Bank, which goes thus: “Dear Customer, This is a confirmation that the password for your AccessOnline account has just been changed, If you didn’t request or make this password change, Kindly follow the secured link https://ibank.accessbankplc.com/RetailBank/ for security purpose. If you made this password change kindly follow this link to review your account information https://ibank.accessbankplc.com/RetailBank/” The one from Zenith Direct, Zenith Bank’s online platform, customers are told that a beneficiary has been added to their online account and that they should click a link if they have not authorized such a beneficiary. The scammers, thus, provide a Universal Resource Locator (URL) link, which the unsuspecting customers are implored to click to go and ‘de-activate the beneficiary.’ It was also gathered at the weekend that a similar phishing emails are being received by UBA customers too, asking them to update their online banking profiles. A Senior Management staff of Access Bank, who preferred anonymity, told The Guardian that the bank was not the one sending such emails, saying that they were being sent by online scammers, with the intent to defraud their unsuspecting targets. She said banks would need to continually engage in public enlightenment on the need for their customers to always disregard such spurious emails that are usually presented as though the banks were sending them. “Once a customer gets this kind of email, he or she should know that it is not from their banks but from scammers,” said a source at one the banks. Speaking on the issue, Google West Africa’s Communications and Public Affairs Manager, Taiwo Kola-Ogunlade, said Phishing emails try to trick people into revealing personal information. Ogunlade said through phishing, the type of information targeted from customers include; demographic; personally identifiable information (Those that can be used to identify, contact, or locate a person or can be used with other sources to uniquely identify a single individual. Name, address, phone number, social security, birthday, birthplace, credit card information, account numbers); behavioral (purchasing habits, websites visited, credit card transactions), among others. The Google Chief, explained that customers information are collected atimes, unknowingly when they provide information to a website; cookies; HTTP header; links clicked; server logs; tracking codes; websites; third-parties (advertisers or service providers); shopping carts; location data; ISP data; web activity; information hi-jacked on unencrypted websites. On what can be done, especially o such scam emails, Ogunlade explained that users must verify the real sender of an email in Gmail; click the drop-down next to the “Reply” button; click show original; make sure the “From” address and the “Reply-to” address match and check that the address on the “Message-id” also matches the “From” address domain. Speaking on the development in an Interview, Executive Secretary, Electronic Payment Providers Association of Nigeria (E-PPAN), Mrs. Regha Onajite, called for increased awareness of the antics of scammers in the nascent electronic payment region. Onajite urged banks to also invest in customer enlightenment initiative, saying that banks are also liable in some cases, where the customer’s money deposited with them is taken by scammers, depending on the circumstances. TELECOMMUNICATIONS network connectivity difficulties continued to mar the progress seen in Point of Sales (P oS) adoption rate in Nigeria, according to findings. While this challenge persist, it has also been discovered that there is still huge preference for cash among consumers and a low level of awareness of the benefit of using PoS especially among non-users. Already, as at December 2014, Nigeria has deployed about 350, 000 PoS terminals across the country, a significant increase from the about 120,191 in 2013, but a new Nigeria Inter-Bank Settlement System (NIBSS) report, obtained by The Guardian, on Monday, showed that 72.5 per cent of non-users claim to be unaware of the benefits of using PoS. The report, however, put PoS adoption rate in Lagos at 62 per cent. It noted that 62 per cent of merchants provided PoS payment option and 63 per cent of individuals owned and used debit/credit cards that is 70.4 per cent ownership among 90.2 per cent banked adults in the state. NIBSS observed that PoS is the most popular non-cash payment channel, preferred among the non-cash payment options by 93.6 per cent of merchants, and 35.8 per cent of consumers usage, stressing that usage of card/PoS is fair with an average of three to four out of every 10 customers requesting to pay for transactions by card/PoS. However, the report said only 3.1 per cent of consumers cite card/PoS as their preferred payment option attesting the low usage of PoS. On the connectivity challenges, The Guardian, through some interactions with representatives of popular eCommerce firm in Nigeria, at different occassions, observed that when customers use their credit/debit cards on the PoS terminals, which are run by commercial banks, customers account are debited without the fund getting to the eCommerce platform and such has brought up arguments and counter arguments between customers and merchants. Atimes, when the customer is lucky, the fund can be returned to his or her account immediately, but should the network challenge persist, it could take between seven or 14 workings days before the fund is returned to the customers account. Meanwhile, to improve the challenge of connectivity, the report recommended global SIMs along with Local Area Network and more intelligent PoS terminals. Besides, CBN should implement service standards for the industry, as well as enforce disciplinary measures for erring operators. The report also wanted NIBSS to improve consistency of PoS data reports to banks to aid the reconciliation process, and also enhance the support framework to processors. In terms of adoption, the report said greater effort must also be made to communicate the improved security features of PoS to consumers in order to allay concerns about fraud and encourage confidence in the PoS system. Card processors, which contributed to the report, noted that there are too many stakeholders involved in the end-to-end processing of PoS transactions and that this accounted for inefficiencies and a lengthening of the timeframe for resolving issues. To deepen usage across the country, the report advised that technical features that are connectivity base must be improved; focus must be on deploying PoS terminals to informal/open-air or unstructured markets where adoption and use are extremely low and improvements must be made to the timeframe for resolving PoS complaints. NIGERIA’s National Telecommunications Carrier, Globacom, has launched the country’s first ever-comprehensive airport Wi-Fi facility in collaboration with the Federal Airports Authority of Nigeria (FAAN). With this development, passengers and other users of the airports will now be able to connect wirelessly to the Internet through their smart phones, tablets, laptops and other smart devices. Senior government officials, led by the Minister of Aviation, Chief Osita Chidoka, formally commissioned the facility, at the Murtala Muhammed International Airport, Lagos, on Monday. According to Oraekwuotu, the facility, which will be available at both the domestic and the international wings of key airports across the country, has been made possible due to the great vision and passion demonstrated by the ministry of Aviation and the FAAN working diligently with Globacom. In a presentation, Globacom’s Regional Chief Marketing Officer, Ashok Israni, who disclosed that the service would be available in 22 airports nationwide soon, said all passengers using the airport irrespective of the network they are on would be able to connect to the facility. They will subsequently be directed to a subscription page where they will be able to buy a Wi-Fi data plan through three options. The options, according to him, include using an existing data plan the subscriber has with Globacom, or by recharging their line through a Glo recharge card available at the Glo kiosks at the airport, or by paying for the WIFI plan through a credit card. “Whichever option a subscriber goes for, they are ushered into a world of reliable, ultra-fast internet so that they can keep in touch with their relatives, friends, colleagues and associates regardless of whether they are connected to a mobile network or not,” he said. According to him, users can access the Internet at the speed of as much as 100 megabits per second anywhere around the MMIA, including the departure, arrival, and executive lounges, ticketing and waiting areas as well as passengers welcoming lobby. While formally commissioning the facility, Chidoka described the launch of the facility as a major milestone in Nigeria’s march towards greatness, stressing that it constitutes one of the critical steps necessary for unleashing the latent energy of the nation towards unlocking the potential of the giant of Africa. He commended Globacom for the hard work put into the project, acknowledging that several major obstacles were encountered along the way. “I am happy that on the eve of my departure, this facility is up and running. We selected Globacom for this project based on nationalistic instinct and I’m proud we did because they have made the nation proud by delivering the project on time,” he said. May announce some personal aides before Friday AS part of measures to reduce the cost of governance, the incoming administration of Muhammadu Buhari may retain only 19 ministries from the present 31. Consequently, most of the candidates being considered for the federal executive council (FEC) will end up as ministers of state, after all. Besides, the president-elect is said to be considering the feasibility of announcing his Chief of Staff, Principal Secretary and a handful of Special Advisers before Friday so that there can be some semi-official interface between the outgoing government and the incoming one in the context of handing over of tangible assets in the State House. The Guardian was told last night that there is one mind in all policy advisory committee members that the number of the ministries should be pruned to about twenty as part of over-all strategy to reduce high cost of governance in Abuja. It was learned that the cost-of-governance-reduction strategy is not by intuition or a flash in the pan as various advisory committees of the new governing Party, the All Progressive Congress (APC) have been considering the new deal for some time. Besides, The Guardian confirmed that President-elect, Buhari, is fully persuaded too that he would not be able to deliver on promises without shedding the weight of the federal bureaucracy and indeed the number of ministries and agencies of government that consume the more than 70 per cent of the federal budget through the recurrent expenditure instrument. The Guardian was told too that the Stephen Oronsaye’s report of 2012, a comprehensive blueprint on the fundamentals of reduction of cost of governance has become handy for the technocrats crafting working papers for the in-coming administration. It was gathered too that the former Head of Service, Oronsaye, has been consulted on the report details that the outgoing administration has failed to implement. Specifically, Ahmed Joda, chairman of the transition committee of the APC has collected a copy of the Oronsaye panel report from the former Principal Secretary/Permanent Secretary State House, (Oronsaye) himself. The former Permanent Secretary, Finance confirmed the development on telephone last night. In the same vein, a retired federal permanent secretary, who was pioneer director-general the federal government’s reform bureau, has just completed a book in which a cost-of-governance reduction strategy too is a major chapter. Specifically, the book on the expediency of radical reform of the civil service recommends 18 ministries, among other features that the advisers of the APC and the president-elect are said to have adopted. The book, which will be publicly presented in June this year is said to have raised some dust on so many other issues including the tenure policy that Oronsaye’s regime as head of service adopted; the office of the First Lady and even the controversial designation of “Coordinating Minister for the Economy”. Meanwhile, The Guardian gathered from well-placed sources close to the president elect’s men that the expediency of getting some vital information pieces from the outgoing president’s men may compel him to name a few personal aides ahead of inauguration. Sources said to us last night that the president-elect is concerned about paucity of information about certain issues that need to be physically inspected before taking over, although the handing over notes were submitted on Monday to the Ahmed Joda’s transition committee by the outgoing vice president, Namadi Sambo. Concerns have been raised about how the Buhari’s imminent administration can implement a constitutional provision that stipulates a minister per state (36 states & Abuja) within the context of reducing ministries to less than 20. But legal experts have noted that the constitution does not state that there should be 36 ministries to cover the 36 ministerial nominees. As an insider put it to this newspaper last night: “In the APC’s administration that Buhari will run from Friday, there will be more ministers of state. According to a reform agenda that the Yar’Adua’s government put in place, all ministers are equal: ministers are ministers and their remuneration package should be uniform. The Obasanjo’s administration had on the eve of departure in 2007 reduced federal ministries to19. But the Yar’Adua’s administration reversed the policy and returned to the status quo. 3. Agriculture & Water Resources, etc. 5. Ministry of Trade, Investment & Tourism, etc. Niger Delta Ministry may be replaced with Ministry for Regional Development. Women Affairs, Special Duties may be scrapped. President Goodluck Jonathan said in Abuja on Wednesday that those calling for the probe of his administration should ensure that all past administrations were subjected to it. The president said this in his speech at the Valedictory session of the Federal Executive Council at the State House in Abuja. He said that his administration recently uncovered huge judgment debts accumulated by previous administrations. Jonathan said that a lot of things had gone wrong in the country which were all ascribed to his administration, adding that his administration had done well in spite of the criticisms. “Some people are even calling for the probe of the government. “I agree that in Nigeria there are a number of things that will be probed; very many things; even debts owed by the states and debts owed by this nation from 1960. “Up to this time they say it is the Jonathan administration that owes all these debts. “And I believe that anybody calling for probe must also ensure that this probe is extended beyond the Jonathan administration. “Otherwise, to me, it will be witch hunting. 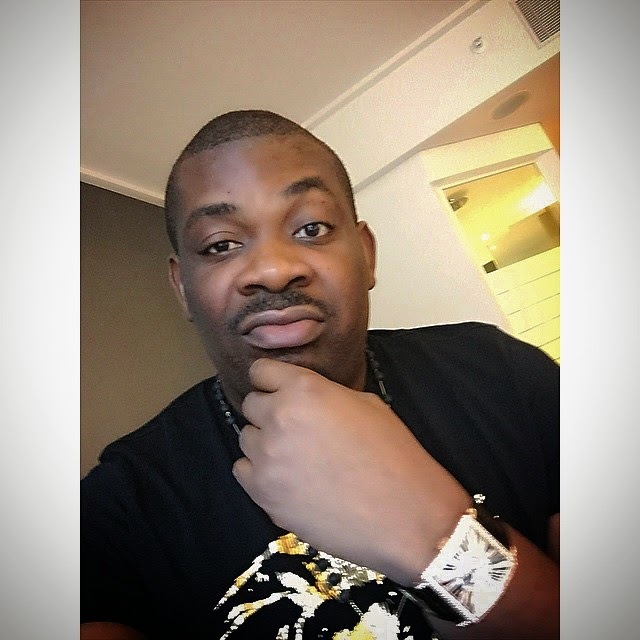 “If you are very sincere, then it is not only the Jonathan administration that you probe. “A number of things have gone wrong, we have done our best. “The Attorney-General is aware of massive judgment debts, if you aggregate all the judgment debts, the recent ones that we discovered is going into 1 billion dollars. “How did we come to these kinds of judgment debts? These issues should be probed. “How did we allocate our oil fields, oil wells, marginal fields and so on? Did we follow our laws? The president said the cabinet had tried very well under a very difficult political situation. He said there were a lot of criticisms, as “people talk different things at different times, even those who make the statements know that they are purely political’’. Jonathan challenged those who criticize the administration to compare it with previous administrations. “And I have always challenged those who criticize us should (to) compare what we have done in the various sectors with what others have done. “May be, we don’t need to enumerate it but If you look at the rail system of this country, what we have done within this period. “In fact, even in the oil industry that received so much attack, one thing that we have done was the Nigerian content law that has revolutionalised the oil industry. “There was a lot of fabrication going on in Lagos and other places that was never like this before. “Nigerians are playing key role in the oil sector and people sometimes forget it and even with that probably we have offended some people. “But the Nigerian content has really helped so many Nigerians to play big in the oil industry. “In the Agriculture and power sectors, even in foreign relations, from 1960 to date, we have been members of the security council as non permanent member five times, out of these two times have been within these five years. “We have been an independent nation for 55 years and been in the UN five times as member of the security council, out of that five times, two times were within this five times. “That shows clearly that the rest of the world appreciate our little contributions to global issues. “Even in education, the road systems, we have added Kashimbilla to our dams, sports we have done wonderfully well within this period. “We have achieved growth in MSME’s, and of course the financial inclusion within this period is more than ever before. He said that his administration witnessed the longest politically motivated strike in the education sector as well as Boko Harram insurgency. He said the current fuel scarcity was politically motivated as the nation had 31 days reserve but those who wanted to bring the administration down refused to lift petroleum. Jonathan said he was grateful that the nation had navigated out of the challenges. He thanked the ministers, Nigerians and the media for their support, adding that the ministers were still serving and that the cabinet had not yet been dissolved until it completed the transition programmes. NAN reports that the ministers took time to shower encomiums on the President for his stewardship and stressed for collaboration among them even out of office. • Aliyu canvasses its removal PRESIDENT-ELECT, Muhammadu Buhari, is now gathering data that will drive his policy direction on the downstream sector of the petroleum industry, with a view to finding solution to scarcity of products. The Guardian gathered that he is making contact with relevant stakeholders on how to effectively implement the subsidy regime by analysing the market response to the policy, especially as it affects acute scarcity of products. Meanwhile, Nigeria is plunging further into darkness, as power supply collapsed across the country. In fact, unless there is a miracle of some sort in the next 24 hours, Jonathan would be handing over a power sector that is generating a meagre 1,327 mega watts of electricity or less. Niger State Governor, Babangida Aliyu, yesterday, said the solution to frequent fuel crisis is total removal of subsidy on petroleum products. He said this at the inauguration of a three-star hotel constructed jointly by the Niger State Development Company Limited (NSDC) and the state Subsidy Re-investment and Empowerment Programme (Sure-P). According to him, removal of fuel subsidy will put a stop to activities of cabals in the oil business, while guaranteeing regular supply of the product across the country. The subsidy on petroleum product, Aliyu argued, is currently being enjoyed by only a section of the society who has the necessary connection to be importers of the commodity. “Is it not an irony that we sell crude oil and we end up buying refined petroleum from the international market?” Aliyu asked. He also suggested the regionalisation of the distribution of power, instead of lumping all parts of the country onto the national grid. The Executive Secretary of Depot and Petroleum Products Marketers Association of Nigeria (DAPPMAN), Olufemi Adewole confirmed an invitation to the group by the President-elect’s Transition Committee. “Yes we received an invitation from the Transition Committee for us to submit a presentation to it today (yesterday). We are still working on the presentation and will submit it as soon as it is ready,” Adewole said. Though government had been beating its chest that installed generation capacity has increased to 6000 mega watts, actual generation is less than 1,327, leaving the nation with about 4,800mw capacity lost to factors including unavailability of gas and the strike by the Petroleum and Natural Gas Senior Staff Association of Nigeria (PENGASSAN), and the Nigeria Union of Petroleum and Natural Gas Workers (NUPENG). Also, Nigeria’s hydro power plants don’t seem to be faring any better as one of them, Shiroro Hydro-electric Power Plant suffered a major system collapse Sunday evening, worsening an already bad situation. This has left Abuja and environs with only 15 mega watts. In the meantime, only ‘sensitive installations’ within the Central Business District of Abuja are on electricity supply. The Abuja Electricity Distribution Company (AEDC), for instance, has witnessed a huge drop in power supply to customers, following a sharp drop in its own allocation from the national grid which was 145mw as at Friday, May 22, 2015, and 115.6mw for Saturday, May 23 and Sunday, May 24, 2015. As at Monday, 18 out of the 23 power plants had been shut down. Confirming the dismal state of affairs, a statement from the Nigerian Electricity Regulatory Commission (NERC) said the regulatory agency had noticed with concern the acute shortage in power supply and the attendant hardship Nigerians are passing through on account of increase in vandalism in the run up to the April 2015 elections. “But this bad supply condition has worsened in the last few days. “At present, 18 out of the 23 power plants in the country are unable to generate electricity due to shortage of gas supply to the thermal plants with one of the hydro stations faced with water management issue. This has led to loss of over 2,000mw in the national grid. “This situation is further compounded by the recent industrial actions embarked upon by workers in the oil and gas industry, a development which is taking toll on other sectors of the economy. Gas supplies to the thermal plants have been further constrained by the industrial actions of workers in the oil and gas industry. Chairman of NERC, Sam Amdi said: “Not much progress was made through this meeting as NNPC and its subsidiary, Nigeria Gas Company, disclosed high incidence of vandalism in some areas such as the damage to Trans-Forcados pipeline in the western axis and ELPS gas pipeline in the eastern axis. Permanent Secretary in the Ministry of Power, Ambassador Godknows Igali confirmed that power generation nationwide had dropped from 4,800MW to 1,327MW, leading to the massive load shedding ongoing across the country. But despite the sorry state in the quantum of power supplied to Nigerians, the Federal Government is beating its chest on the investments put into the sector. Minister of Power, Prof Chinedu Nebo, is optimistic that Nigerians will soon begin to enjoy better power supply. “Today’s power sector is a deregulated one that has benefitted immensely from the gains of privatisation,” he said. He noted how the reform had brought with it “concrete and tangible results recorded in the area of quantum injection of capital – both foreign and local. Beyond gas-fired plants, the minister said the hydrological endowment if fully harnessed, as envisaged in the new National Policy on Renewable Energy, would see rapid development of hydro potentials. With the aim of boosting supply, government has variously invested huge amounts into the power sector in the areas of direct involvement and also through intervention funds. For instance, the three tiers of government have invested a whopping sum of about $5 billion in building 10 electricity generation plants, several kilometres of transmission lines and distribution facilities across Nigeria under the National Integrated Power Projects (NIPP). Early this year, the Central Bank of Nigeria (CBN) commenced the disbursement of N213 billion to encourage, among other things, gas supply to the sector. Amadi explained the rationale behind the fund. He said: “Firstly, it is to pay debts owed gas suppliers. It is our expectation and plan that this will in turn enable the gas suppliers to supply more gas so that more electricity can be generated and distributed to the Nigerian people. As you may know, lack of adequate gas supply to generation companies (GENCOs) has been one of the main reasons for electricity shortage. And one of the main reasons that adequate gas is not getting to GENCOs is because the gas suppliers have been owed huge sums of money for the gas they have been supplying. About 80 per cent of our generation comes from gas-fired plants. So it will be grossly negligent to damage the confidence of gas supplier by not paying for gas supplied even before the assets were privatised. But note that we are paying only well verified and attested gas debts. On the present fuel crisis, Adewole explained that marketers are now loading products that were imported by the Petroleum Products Marketing Company (PPMC), saying marketers are not on strike but do not have products to sell as banks have refused them credit facilities to enable them import products on account of unpaid debts. “Marketers are still supplying the products that we have despite the fact that we have still not been paid the outstanding money. The PPMC cargo brought in the stocks that major marketers and a few of DAPPMAN are loading in partnership with the PPMC. Until we are paid, we are incapacitated in the process of sourcing funds to import products,” he explained. When Muhammadu Buhari was elected as Nigeria’s next president two months ago, it sparked wild celebrations on the streets that lasted for days, particularly in his northern stronghold. For 33-year-old construction company worker Suleiman Hashimu, the country’s first ever victory by an opposition party prompted a more unusual response: to walk half way across the country. “Two years ago, I made a promise to God that should General Buhari win the 2015 presidential election, I would trek from Lagos to Abuja to celebrate his victory,” Hashimu told AFP. The 750-kilometre (470-mile) trek from the Atlantic coast in the southwest took him through difficult terrain and robber-infested roads, with just a knapsack on his back, some toiletries and cash. He reached the capital on April 20, 18 days after setting out, earning him widespread publicity and a meeting with his political hero, who formally takes over the reigns of power on Friday. “At one point I felt like giving up,” said Haishimu, describing the journey as “stressful and energy sapping”. But he made friends along the way, who offered him accommodation, food and drink. Residents of the six states he met during the walk also gave him something else to take to the capital: special requests to the incoming president for Haishimu to pass on. “I feel happy and fulfilled to have made the journey and for being the first at it,” he said. Haishimu’s walk was not a one-off. Instead, it has sparked copy cats, whether to celebrate Buhari’s victory, his opponent’s acceptance of defeat and even military success against Boko Haram. In the past three weeks alone at least a dozen other people, including a woman and a man with no arms, have announced or embarked on their own walks. Adams Afolabi Ndabagi, 28, walked 100 kilometres to honour political godfather Bola Tinubu, who founded and heads Buhari’s All Progressives Congress (APC) party. “I trekked from Abeokuta (capital of southwestern Ogun state) to Lagos to celebrate the change that Nigerians have craved for and the major role Bola Tinuba played in democracy,” he said. Ibrahim Musa, 30, whose two arms have been amputated, is making the trip from the northern city of Kaduna to Abuja to urge the government to pay more attention to disabled people. Paul Tankwa, 35, is heading more than 700 kilometres from Jalingo, in northeastern Taraba state, to outgoing President Goodluck Jonathan’s home village of Otuoke in southern Bayelsa state, to honour him for conceding defeat. Ibrahim Mairiga took 11 days to walk some 450 kilometres from Jalingo to the Borno state capital Maiduguri to thank soldiers for liberating his home town of Gwoza from Boko Haram insurgents. The 30-year-old was forced to flee the town, which the militants made their headquarters, but has since been rewarded with 250,000 naira ($1,300, 1,110 euros) and a new car for his efforts. 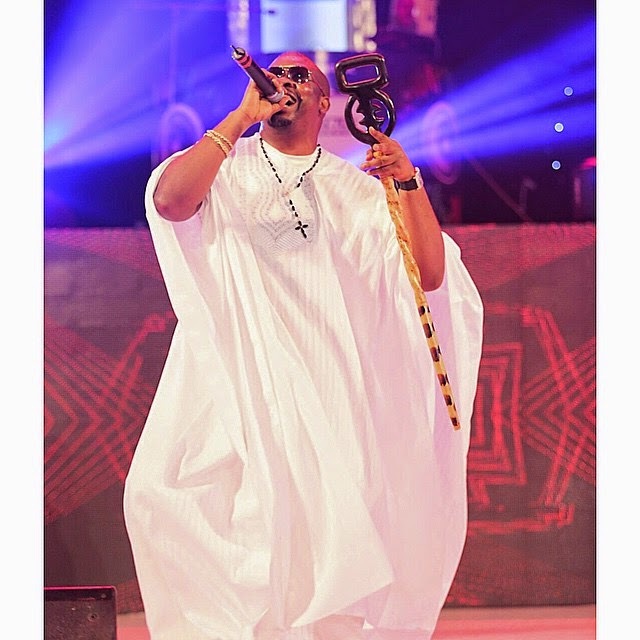 He was also given the title “Chief Trekker of Gwoza”. With no specific goal to the walks such as charity fund-raising, some critics have dismissed those involved as mere attention-seekers. “Soon an agency or ministry to handle trekking affairs will be created,” scoffed television presenter Jennifer Uloma Igwe, from state broadcaster NTA. But for others, the phenomenon is a novel form of political campaigning and a way of drawing attention to the many issues Buhari needs to address when he becomes president. Nigerians have not been known as great protesters or campaigners because of decades of military rule and a realisation that with corruption rampant it wouldn’t make much difference anyway. “It’s a form of activism that is new and plausible,” said Lagos human rights lawyer Jiti Ogunye. “That people are showing their political ecstasy for a democratic issue is laudable. The Lagos state government has cancelled restriction of movement during Saturday May 30thenvironmental sanitation exercise in the state. While announcing the cancellation, the Commissioner for Environment, Tunji Bello said the cancellation is to enable residents of the state participate fully in all activities lined up to celebrate the inauguration of the president-elect Muhammadu Buhari and the Lagos state governor elect, Akinwunmi Ambode. Thirteen ships carrying various products have arrived at the ports in Lagos, the Nigerian Ports Authority (NPA) said on Thursday in Lagos. This is contained in the daily ‘Shipping Position’ published by the NPA, which was made available to newsmen. The NPA said that seven of the ships arrived with food products, including rice in bags, frozen fish and palm oil. It said that the remaining six ships sailed into the ports with petroleum products, including petrol, base oil and diesel. The NPA also said it was expecting the arrival of 35 ships at the Lagos ports from May 28 to June 17. According to the NPA, 16 of the expected ships would sail in with containers, while four others would arrive with general cargo. It said food products, including frozen fish, bulk salt, buckwheat, bulk sugar and crude palm oil would be brought in seven ships. Petroleum products, including petrol and bulk gas, are expected to be brought in four ships, the NPA added. National Standard Finance is delighted to announce its first major investment in Nigeria as part of its recently announced Economic Stimulus plan for Nigeria. Omega-Butler Refineries from the UK and National Standard Finance, LLC have teamed up to are build and finance a “turn-key” construction of modular mini oil refinery starting with capacity of 1,000,000 metric tons per year (20,000 barrels per day) in Port Harcourt, Rivers State. This will be the first module; further modules will be built once the first module becomes profitable, making 100,000 bpd in total. Employing the most progressive technologies of deep crude oil processing, the Refinery is designed for production of environmentally friendly Motor Fuels (Petrol and Diesel, matching strict requirements of Euro-3&4 standards) and high quality Bitumen suitable for roads construction. With the Yield of light oil products around 90%, this Mini Refinery outperforms the industry standards. It will deliver the initial requirement of the local community and reduce the current reliance on imported gasoline and motor fuel. The rest will be sold in advance to existing customers of Omega-Refineries all over the world. •	DGF Unit (Desulfurization and Gas Fractioning) for gas treatment, sulfur production and environmental protection. To expedite start-up of the Mini Refinery into operation, the Project Schedule is divided in two stages, which allows launching Deep Oil Refining (DOR) Unit and Desulfurization and Gas Fractioning (DGF) Unit, combined with supporting infrastructure of the Refinery, in extremely short time – 12 months. The second stage, including Catalytic Distillate Treatment (CDT Unit), will be finished overall in 24 months. This approach will allow efficient allocation of investments and revenue stream from the first stage operation will facilitate to finance overall construction of the Refinery. Rivers State Government will provide the 40 hectares of land and Omega-Butler, a UK based refinery and LNG company as 80% owners of the project are providing the project construction funding from National Standard Finance. Omega-Refineries will Build, Operate, Manage and provide the necessary expertise to keep the refinery profitable for decades to come. Omega-Refineries will be responsible for selling the refined products into our existing market in Nigeria through local retailers. We expect 100% of the refined products be pre-sold in advance through a forward contracts. Overall value of the Refinery upon completion will be in the range of U.S. $1 billion. Overall Budgetary Price of the Mini Refinery is U.S. $480 million. (Lump sum “turn-key” delivered, for two stages of construction, including cost of local amenities. This is 50% less than the cost of a second hand ready-made refinery of conventional refinery of similar capacity, even without the waste management capacity of the Port Harcourt Refinery). Full scope of Engineering, Procurement, Construction, Supervising and Project Management Services is included in Budgetary Price (within Battery Limits of the Refinery). Break-even period for investments is expected to be five years. The Refinery will create an estimated 500 full-time jobs and 1,000 ancillary jobs resulting in a total of 1,500 new high quality jobs in Rivers State and Nigeria. This does not include local suppliers and sub-contractors. Value of the completed refinery, including the crude oil allocation and refinery license is estimated at US$1.750 billion. National Standard Finance, together with Omega-Butler, with the help of the Rivers State Government will be an invaluable partner and contributor to this project by making sure the refinery is well managed and profitable, including selling all refined products into existing market through national retailers in Nigeria well in advance of production. Omega-Butler Refineries will also give priority of training and employment to local people from Port Harcourt and environs and to indigenous companies. National Standard Finance, LLC is a leading multinational institutional alternative investment company and asset manager that specializes in sovereign (government) and infrastructure investing. National Standard is capitalized by a consortium of large North American financial institutions and some of the world’s leading global investment banks with combined financial assets exceeding US $2 Trillion which provide us with the financial backing to tackle the most complex and challenging financial transactions. National Standard maintains offices and staff across the global markets we serve. A pioneer with best in class capabilities in global sovereign and infrastructure financial markets, National Standard is partnered with sovereign and sub-sovereign governments, helping design and fund infrastructure development programs. This includes leading government sponsored finance agencies and many of the world’s elite institutional investors, to create a progressive global capital syndicate dedicated to financing critical infrastructure and sovereign capital requirements around the world. The sector focus is credit-worthy essential infrastructure assets, including but not limited to transportation, energy (Power, Oil & Gas), social programs including low income housing, healthcare and other mission critical assets sponsored by sovereign partners and executed by world-class private sector partners. National Standard’s mission is to provide long term flexible private infrastructure capital [debt, leasing & equity] to select international markets, massively underserved by deleveraging international banks, formerly the backbone within these segments. National Standard’s Africa operations (National Standard Finance Africa) are managed out of Johannesburg, South Africa and is managed by Michael Tichareva, Principal and Managing Director of National Standard Finance Africa and Kajiya Kantumoya, Director of Investments for Africa. President Goodluck Jonathan was on Tuesday honoured with another award of “Peace Loving Global Citizen” for his decision to accept the result of the 2015 Presidential poll. The award was presented to the President by the Universal Peace Federation(UPF) at the Presidential Villa, Abuja. Speaking at the event, President Jonathan urged the incoming administration to accept the contributions of all Nigerians to the progress and development of the country. While commending the group for the honour, Jonathan said Vice-President Namadi Sambo also deserved the honour, saying that his singular act of accepting defeat in the election also affected him. “My singular act has made you now to come and honour us, not just me, I ran the election with the Vice President and if we have won, two of us would have been here but by that act, two of us are packing out on Friday, he equally deserves the encomium that you have given me. The President stated that he took the decision to accept the result of the election because there must be a nation first before any ambition. “I use to say that even if I will be President for the next 25 years, I will not be a happy person if so many people die because of me. According to him, when he leaves office, the remaining part of his life will be dedicated to issues that would bring unity and peace to the country. Speaking earlier, leader of the group, Chief Mike Ozekhome, said that Jonathan had attracted global recognition considering his decision to accept the defeat in the just concluded election. According to him, Nigeria is now respected in the comity of nations not only because of Jonathan’s achievements but because of his decision to accept the result of the election. Football Federation Australia will seek a fresh start for football’s governing body FIFA and vote for Prince Ali bin Al-Hussein as its next president, FFA Chairman Frank Lowy said Thursday. Lowy is in Zurich, Switzerland, to attend the FIFA Congress amid a vast corruption scandal engulfing world football’s governing body. FIFA was rocked on Wednesday with the arrest of several of its officials on corruption charges, but it was adamant that its congress and leadership vote would go ahead as planned this week. The Asian Football Confederation, a key ally of FIFA president Sepp Blatter, and the Confederation of African Football have both insisted Thursday that the FIFA congress and presidential election should go ahead as planned. But the European confederation UEFA said the election should be postponed. “FFA believes that profound change within FIFA is needed as soon as possible to address issues of governance and transparency,” Lowy said in a statement released in Australia late Thursday. “This belief will be reflected when Australia casts its vote in the Presidential election, should it proceed on Friday in Zurich. Prince Ali bin al Hussein of Jordan is the only rival to embattled FIFA incumbent Blatter should Friday’s election take place. The National Drug Law Enforcement Agency (NDLEA) on Tuesday turned down an order requesting it to vacate the residence of Senator-elect, Buruji Kashamu, in Lagos. The Agency’s Head of Public Affairs, Mitchel Ofoyeju, disclosed this in a statement in Lagos . Ofoyeju said that the agency received a court order to vacate the residence and directed both Attorney General of the Federation, Mr Bello Adoke and Ahmed Giade, Chairman, NDLEA to appear in court. According to the statement, the NDLEA did not believe that any court would issue such warrant preventing any agency to perform its statutory role as drug trafficking law enforcement agency. Ofoyeju said the agency would continue to maintain its stand on monitoring the residence of the Senator-elect in preparation for his extradition after his appearance in court. “The NDLEA wishes to reiterate that his rights like that of other citizens shall be respected and the due process of law followed in this case. “The agency is prepared to further increase its public rating and goodwill in the areas of suspect handling. “Respect for human rights and the rule of law. “We are prepared to explore all legal means in handling this case to a logical conclusion,” the statement said. Ofoyeju said that the Nigerian Government had received request from the United States Government for the extradition of Prince Buriji Kashamu. He said that the U.S government had also provided Warrant of arrest on him contrary to what his attorneys said that there was no warrant of arrest to effect their actions. “According to official record, Kashamu has been a target of both the U.S. Drug Enforcement Administration (DEA) and Immigration. ” In addition with Customs Enforcement (ICE) of the Department of Homeland Security (DHS) for over 20 years. A Spanish High Court judge agreed Thursday to hear a lawsuit against Nigerian Islamist militant group Boko Haram and its leader Abubakar Shekau for crimes against humanity and terrorism. The judge ruled he was competent to handle the case under the principle of universal jurisdiction — which allows courts to try certain atrocities committed in other countries — because the case concerns a Spanish nun who is a victim of the group. A Spanish High Court judge said Thursday he has agreed to hear a lawsuit against Nigerian Islamist militant group Boko Haram and its leader Abubakar Shekau for crimes against humanity and terrorism. Judge Fernando Andreu ruled he was competent to handle the case under the principle of universal jurisdiction — which allows courts to try certain atrocities committed in other countries — because the case concerns a Spanish nun who is a victim of the group. Spanish public prosecutors accused Boko Haram in its lawsuit of “harassing” and “putting pressure” on the nun in March 2013 in Nigeria as part of “a generalised context of actions of a terrorist nature by the jihadist organisation”. Boko Haram has killed thousands of people in Nigeria during a six-year insurgency to carve out an Islamic caliphate. It has also staged cross-border attacks in Chad, Cameroon and Niger. Mr Bekekhimi Idhiarhi, the Ondo State Commissioner for Sports and Youth Development, on Thursday advised organisations and agencies against rejection of National Youth Service Corps (NYSC) members. 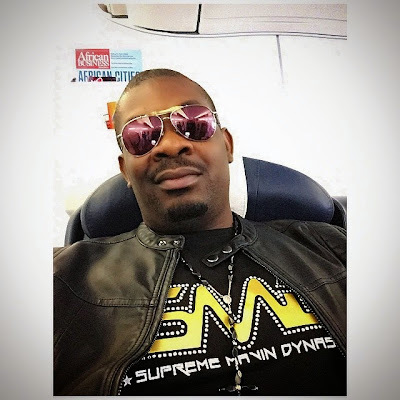 Idhiarhi gave the advice in an interview with newsmen in Akure. He was commenting on the rejection of corps members by some agencies and organisations to which they had been posted in the state. “Rejection of corps members is quite frustrating. Somebody who is ready to work for his or her country will be disappointed, if rejected,” Idhiarhi said. The commissioner said that those rejecting corps members were not appreciating the scheme. He reiterated the commitment of the state government toward enhanced welfare packages for corps members posted to the state. According to him, the state will also continue to guarantee their security. The National Commission for Colleges of Education (NCCE) on Thursday said that the commission had revised its curriculum to enhance the production of specialised teachers in all colleges of education. NCCE’s Acting Executive Secretary, Dr Alex Meyanga, told the News Agency of Nigeria (NAN) in Lagos that the commission was moving away from the era of producing teachers in general subjects to that of specialised disciplines. He said that the review of the curriculum would enable teachers to specialise in a particular field unlike the general teaching techniques to improve the quality of teaching. Meyanga said that the NCCE had also introduced early childhood care education for teachers at the primary school level. “We have reviewed our curriculum recently; we are moving away from what we call generalist teachers to specialist teachers. “We have started producing teachers for early childhood care education; once you graduate, you are qualified to teach or handle children at that basic level. “The commission is training teachers for junior primary and junior secondary schools; we are training teachers for adult and non-formal education,’’ he said. Meyanga said that the NCCE was producing enough qualified teachers, but regretted that some state governments were not employing such competent teachers in schools. He said that there were a lot of teachers roaming the streets without employment, adding that some schools preferred unqualified teachers, to cut cost. “In a country like Finland, there could be about two to three teachers in a classroom; they value education, so, they employ adequate teachers. “The number of pupils or students you have in a classroom will determine what quality of teachers or the grade of such teachers you want to employ. “We do not employ teachers; it is the Universal Basic Education Commission that employs them. “The country has enough teachers; in fact, there are a lot of teachers roaming the streets without employment. “The problem we have is that, maybe some state governments are not recruiting the teachers we have, otherwise, we have enough teachers. “We are producing quality teachers in our colleges of education,’’ Meyanga said. The NCCE boss blamed the recent drop in enrolment level of students into colleges of education on the attitude of the society toward the teaching profession. “Why will it not be low, because of what the society is doing to their teachers? “Not until recently, some teachers were not paid their salaries for months; nobody will want to be in that kind of profession, especially the youths. “It is the government’s intervention that is keeping the primary school running; otherwise, they will not get their salaries. “Even as I speak, there are some states that have not paid their teachers,’’ he said. Meyanga lamented that discrimination against colleges of education would have adverse effect on Nigeria’s education system. “Discriminating against the teaching profession is not good for national prosperity and national economic growth. “The teachers are very strategic; without them, we all will not be what we are today. “Even those who are making laws for the teachers today were taught by teachers. And until Nigerians take our teachers seriously, we will remain where we are. “In developed countries, like Finland, Britain, U.S. and Canada, people struggle to become teachers; because the value attached to the profession is excellent,’’ he said. He said that developed countries were making discoveries, innovations in science, ICT, engineering and medicine because they gave high regard to their education. “If Nigerians give regard to education, they will honour and respect our teachers,’’ he said. AN independent fibre optic infrastructure and telecommunications services provider across West Africa, Phase3 Telecom, is soliciting for early education and consistent technology training for the girl child in order to sustain them and active in the Information and Communications Technology (ICT) space. According to the firm, it is collaborating with eBusiness Life Communications to mark the 2015 edition of the globally celebrated International Girls in ICT Day. The Chief Executive Officer of Phase3 Telecom, Stanley Jegede , said, Girls in ICT initiative of the International Telecommunication Union (ITU), is a global effort to raise awareness on empowering and encouraging girls and young women to consider studies and careers in ICTs. To date over 111,000 girls and young women have taken a part in more than 3,500 events held in 140 countries around the world. In commemoration of the 2015 Girls in ICT, themed “Expanding Horizons and Changing Attitudes”, Jegede, said, early education, digitalized training as well as developing technology skills for women and harnessing those skills promptly, are critical to Africa’s rapid socio-economic development and sustainability. According to him, “One of the key elements of addressing poverty is the empowerment of women and there is no better way of doing that than ensuring the sustained representation of women in the world of technology to aid rapid socio-economic development in Africa”. He said building a crop of young African girls to actively participate and compete in the evolving as well as innovative global ICT space, is the basis for Phase3 Telecom’s commitment to continue to support the International Girls in ICT day initiative. Jegede, said he is optimistic that this global evolution will gain greater influence in Africa as more and more institutions and agencies advocate ICT skills for women on the continent. He believes that “young African girls must be encouraged early to see the advantages and dividends of the dynamic and fast-evolving-sector”. He commended eBusiness Life commitment to the initiative year-on-year to mentor and support girls who have keen interest in walking the ICT career path whether in engineering, design, operations or research. Russia switched the focus of its tensions with America from Ukraine to the football pitch Thursday with President Vladimir Putin lashing out over the US probe into FIFA. The Kremlin strongman condemned the arrest of seven top FIFA officials, accusing Washington of trying to oust football boss Sepp Blatter after he resisted pressure to stop Russia hosting the 2018 World Cup. “We know about the pressure that has been put on (Blatter) with the aim of banning the holding of the 2018 World Cup in Russia,” Putin said in comments released Thursday. The arrests Wednesday in Zurich two days ahead of a FIFA presidential vote was “clearly an attempt to block the reelection of Blatter,” Putin said, alleging the US was trying to “spread its jurisdiction to other countries”. Putin has made opposing what he portrays as US meddling in the world a key plank of his foreign policy and uses claims he is checking American expansionism to bolster his popularity at home and deflect all criticism. Relations between Moscow and the West have slumped to their lowest point since the Cold War and some hawkish US senators have called for the 2018 World Cup to be withdrawn from Russia over allegations Moscow is fuelling the separatist conflict in Ukraine. FIFA is facing the biggest crisis in its century of existence after Swiss police detained the football officials on allegations they took more than $150 million in bribes. The United States wants the seven extradited to face trial there. A separate Swiss investigation is also looking into alleged wrongdoing in the allocation of the 2018 event to Russia and the 2022 championship to Qatar. The Kremlin has lavished vast sums on hosting international sporting events — most notably the 2014 Winter Olympics in Sochi — that are used to burnish Putin’s image. While FIFA and Russian officials have dismissed the possibility that the World Cup in Russia is in doubt, analysts said Putin was at the least concerned the event might be overshadowed by controversy. “The president is clearly worried about the World Cup in 2018,” Konstantin Kalachev, head of the Political Expert Group, told AFP. Russia’s state media has quickly turned the investigations into FIFA into part of a broader conspiracy against Russia. Many Russians appear to buy the Kremlin line that Washington is out to get Russia, with an online poll from leading sports daily Sovietsky Sport showing 36 percent of respondents thought the FIFA arrests were aimed against the 2018 World Cup. Kalachev said Putin’s claims that the FIFA investigation is part of a US plot demonstrate his wider belief that he is defending Russia against foreign foes, from Ukraine to the backrooms of FIFA headquarters. “He genuinely feels that he is in a besieged fortress,” Kalachev said. An Ogun woman, identified as Funmilayo Adeyanju, has killed her son at Ogunso area of Otta in Ado-Odo/Otta Local Government Area of the state, allegedly stabbing her child, Emmanuel, several times on the head and other parts of the body with a knife. The child was a product of an alleged incestuous relationship between the woman and her own biological father. “The police have been to the scene to recover the body of the child. 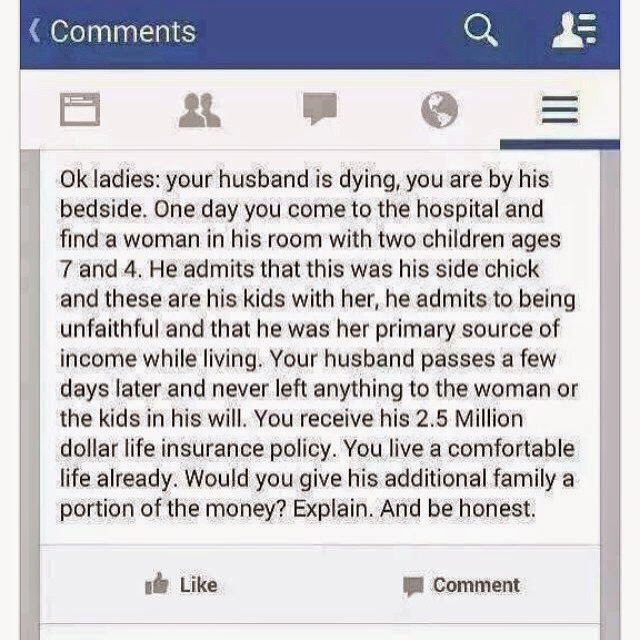 The woman has been acting strangely like a person who is of unsound mind. The police would carry out proper investigation. President-elect, Muhammadu Buhari, has arrived for a tour of the Presidential Villa, Abuja. Buhari and some aides arrived at exactly 11am. 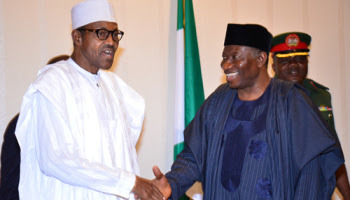 President Goodluck Jonathan is expected to conduct Buhari round the villa. Both leaders first met behind closed doors inside the President’s office. 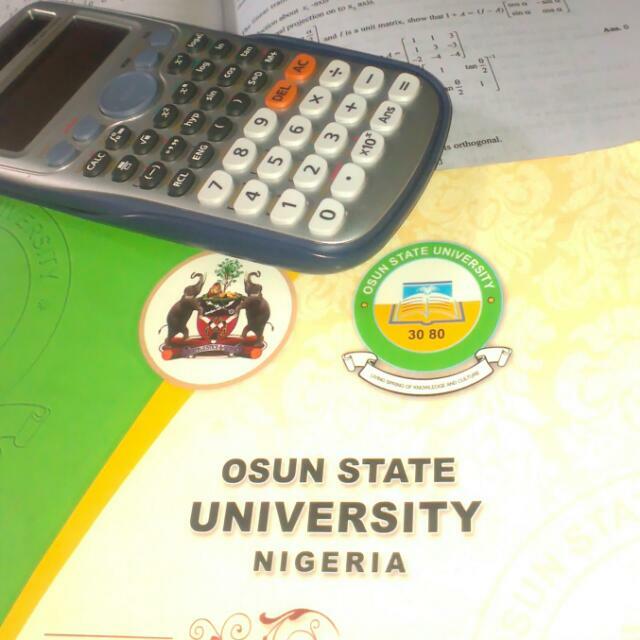 The Governing Council of the multi-campus Osun State University (UNIOSUN) has sacked three principal officers. The council recommended for approval of the Visitor, Governor Rauf Aregbesola, the termination of the appointment of the Vice Chancellor, Prof. Bashir Okesina. The council, on Tuesday, gave letters of termination of appointment to the Registrar and the Bursar, Dr. Julius Faniran and Alhaji Fatai Lasisi. The termination of their appointments followed the recommendations of the Visitation Panel set up by the governor. The panel probed the allegations of financial misappropriation and mismanagement in the university. But the university’s chapter of the Academic Staff Union of Universities (ASUU) has rejected the decision. In a statement by its Chairman, Dr. Abiona Oluseye and eight other officers, the union said the action was done in bad faith. The union also said the sack was prejudicial and violates the principle of equity and fairness. It said: “It is instructive to state that a visitation panel was constituted by the governor and the report submitted. 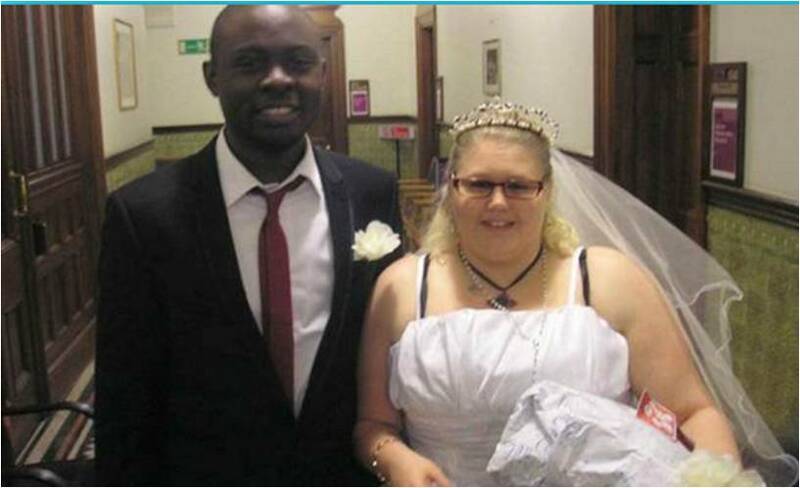 Half-an-hour after Deana Charles walked down the aisle with her Nigerian groom, Ben Mowah, she shockingly realised she had just been scammed into a wedding-for-visa marriage. 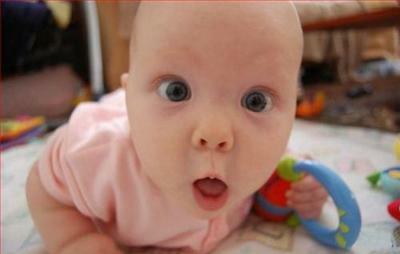 Deana discovered Ben had been texting another woman. 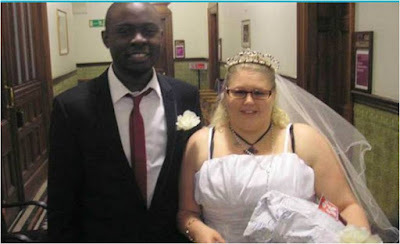 To make matters worse, she was left completely humiliated after Ben admitted he had only married her for a visa. 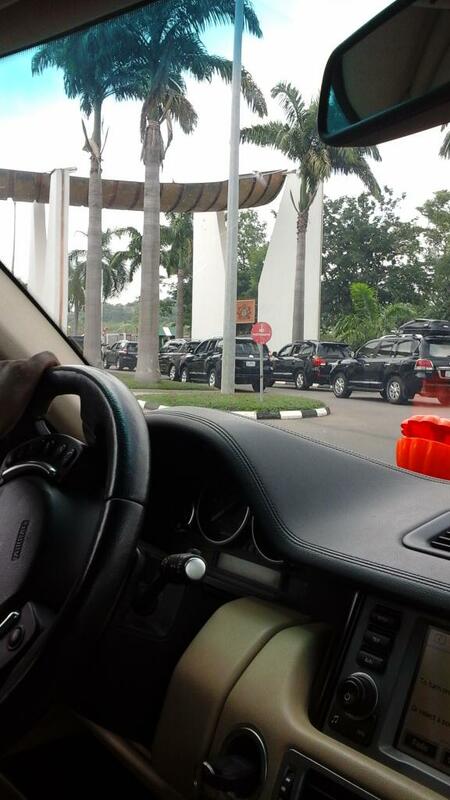 The peoples general was reportedly in an all black convoy as he headed to Nigeria's seat of power. 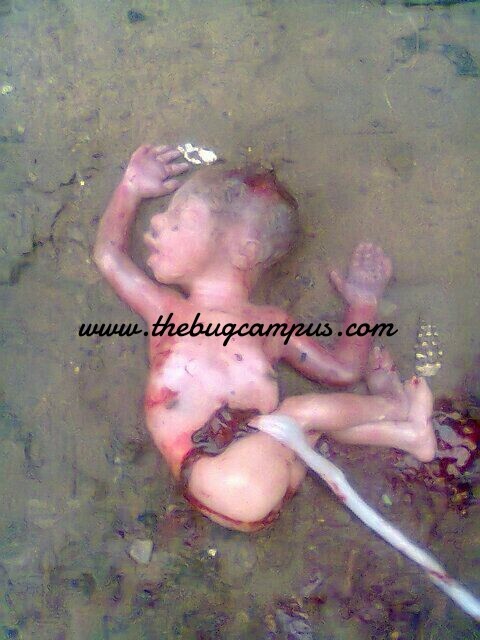 The dead fetus was discorverd this morning around UNIPORT main campus park. The abortion photo you are about to view is graphic and you may not want to see them. DO NOT click to see the photos if you feel you are not prepared to view these graphic image. A mum who was told her son died shortly after birth has been reunited with him – 41 years later. The nightmare began for Nelly Reyes back in 1973 when she had her newborn son was taken from her. 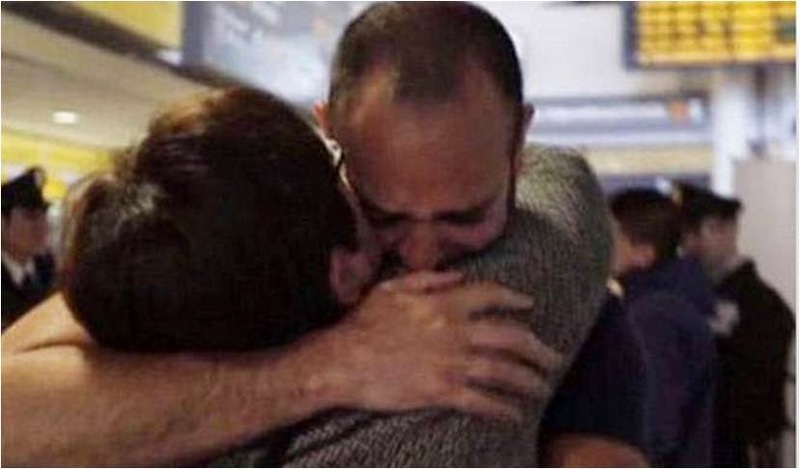 And it ended, as these amazing pictures show, when the 61-year-old mum-of-six finally met son Travis Trollier in an airport they shared a hug that spoke a thousand words. Spanish-speaking Nelly held a sign reading: “‘Lovingly waiting for Travis, your mother Nelly and family“, as her English-speaking long-lost son and his 10-year-old son and daughter, 22, came through the arrivals gate. The Economic and Financial Crimes Commission on Tuesday arraigned two workers in the Office of the Accountant General of the Federation for N1bn scam. 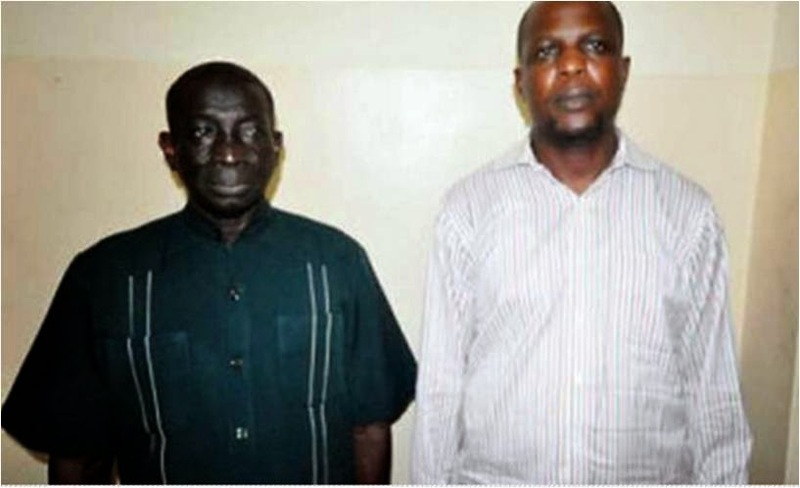 The accused ─ Mohammed Audu, aka Abdullahi Mohammed, and Yahaya Ayodeji ─ were arraigned before Justice Yusuf Halilu of the High Court of the Federal Capital Territory Jabi, Abuja, on 10 counts bordering on criminal conspiracy and complicity in award of contact. 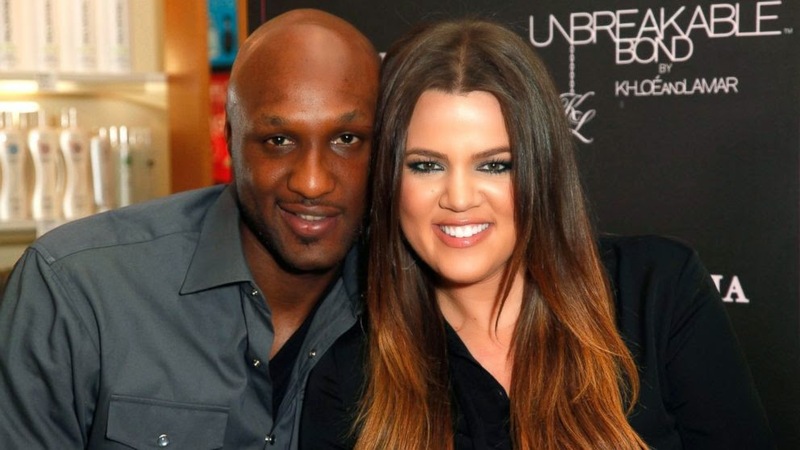 Lamar Odom seem to really want Khloe back. The ex NBA star was caught up with some pesky paparazzi photos recently. I wonder what French Montana would say when he hears this? Recall, Khloe filed divorce documents in December 2013. Since then, there’s hardly been any movement from both parties to actualize the divorce for more than a year. Lamar has blatantly refused to sign divorce papers. Apparently, the judge assigned to their divorce proceedings, is threatening to dismiss the divorce filing due to lack of action from the former couple. Are the Evil People on this Blog Still Here? Come Read This! Everybody loves Don Jazzy. But we want to know - at what point did you fall in love with him? 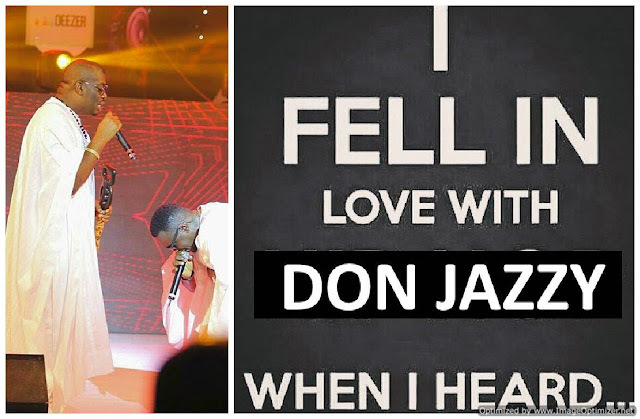 I fell in love with Don Jazzy when I heard ''Why Me''. What about you? And The Undisputed King of The Beard Gang Is?